Youghaloween Spooktacular also takes place over the weekend 26th – 28th Oct This is a festival celebrating the ancient festival of Samhain. Be brought back to a time when the ancients believed that the spirits walked the land. Watch as a gathering of witches perform a ritual on the beach to welcome home An Bhean Uisce. Join in the lantern parade around the medieval town of Youghal and see an amazing firework display. In Westport Westival takes place 24th – 29th Oct. This is a new festival filled with local, national and international music, culture and artistic adventures, world premières and free family-friendly performances for all. 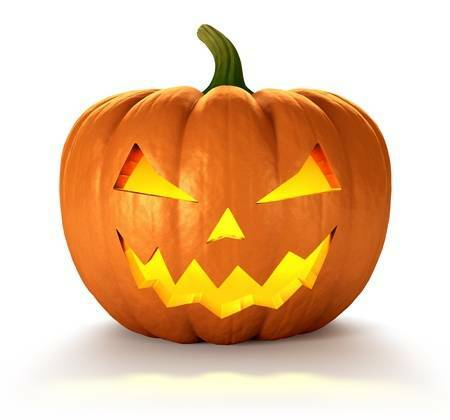 Westport House will be hosting it’s annual Halloween Fest from the 27th to the 31st of October from 11:00am to 5:00pm. Get ready for plenty of ghoulish delights, scary stories and creepy fun that all the family will be able to enjoy! Head to the Haunted Estate House, transformed into a spooky old mansion for Halloween Fest, Gather ‘round the cauldron for Scary Story Time, with wicked tales from the White Witch of Westport, Brave souls can visit the dark dungeons, where the Pirate Queen Grace O’Malley locked up her prisoners and carve a creepy pumpkin* and decorate some ghoulish goblin cakes at the Spooky Spoons Workshop. The Spirit of Meath Halloween Festival runs from 6th October to 4th November. This takes place throughout the county. From haunted hills to eerie graveyards, Tour of Shadows to friendly Witches and Spooks and spells, thriller nights to terrifying terror houses, the Spirit of Meath Festival will delight and fright equally. Kenmare Halloween Howl takes place over the weekend and runs until 2nd November. There are a load of activities taking place included haunted house, ghost bus, chocolate workshops, heritage walks, theatre workshops and many other great activities. Wexford Spiegeltent Festival runs from 12th to 28th October has grown to be one of the biggest and most successful multi-genre festivals in Ireland. Set in the beautiful surroundings of the Paradiso Spiegeltent, the Festival has a unique and enticing atmosphere, blending the Olde Worlde feel of the Spiegeltents with the best in popular entertainment. The Guinness Cork Jazz Festival, one of Ireland’s longest running and most successful music festivals will be in full swing this weekend. Over 1,000 musicians take over the city in an extraordinary blend of sounds across the entire jazz spectrum. With loads of free events, heaps of legendary there's something for everyone. For the foodies, Savour Kilkenny takes place from 25th – 29th Oct where there will be interactive cooking demonstrations and masterclasses with award-winning chefs, culinary delights and quirky dining events, beer and wine tasting occasions, live entertainment and best of all, a bustling food market full of the best produce and food that the country has to offer. For the film buffs, The Richard Harris International Film Festival 25th – 29th Oct takes place in Limerick city. Join film fans and film-makers as they flock to Limerick city to enjoy Irish and international feature and short films. Some of the many caravan & camping parks around the country are also offering their own fun and games during mid-term. River Valley, Wicklow is putting on the Wizard of Oz where guests will be able to join in and dress-up. Hidden Valley, Wicklow will be running their annual Monster Mash. A great opportunity for the young and not so young to dress up and join in in the fun. Nore Valley Park, Kilkenny is holding their annual torch light treasure hunt, scare maze, and bonfire on Friday 26th, Monday 29th, Tuesday 30th and Wednesday 31st of October 2018 at 7pm. There is so much happening throughout the country over the next week. Great events and festivals for all the family, plenty of things to do and see. Take your caravan or motorhome and make a weekend of it. Maybe you just want a quiet relaxing and you can sit back and take it easy in one the approved and graded caravan & camping parks open throughout the country. Whatever your plans are for this weekend, have a great time and stay safe.